I'm new here to the forums on here, and my issues is with the code p171, I did diy smoke machine, couldn't find the vacuum leak anywhere, but as I keeping pumping smoke to the engine threw the brake booster line, I would have a very strong amount of pressure inside the engine, how I know is, I tried to open the oil cap and that thing shot up like a monster energy drink can with the twisting top that you shake for a bit and try to open it, besides that I would have a soap solution with the engine pressurized and sprayed around suspecting areas and get nothing, I also sprayed the intake with carburetor spray, nothing happened, besides checking fuel injectors, I've changed out pretty much all the suspecting parts that would cause this code. I've changed out : air filter, spark plugs "NGK iridium", changed intake manifold gasket, change MAF with a denso sensor, change fuel pump, fuel filter all oem parts, then I've noticed that the end of the vacuum lines that were connected to the engine were hard so I replaced them, made sure they were snug tight, then I bought a scanner without a live data scan, kicking myself, so as im looking at the information that the scanner is putting out to me, the StFt: +14 - +19, LtFt: +44 o2bank1 gives out : .08 o2bank2 gives out : .07. The car idles rough on a cold start, I would have to feather the gas pedal, also the engine would like hesitate on wot without easing on the gas pedal. Any of you guys input would help out alot, and I've search this forums up to 2014. And i'll try to get a freeze frame too. 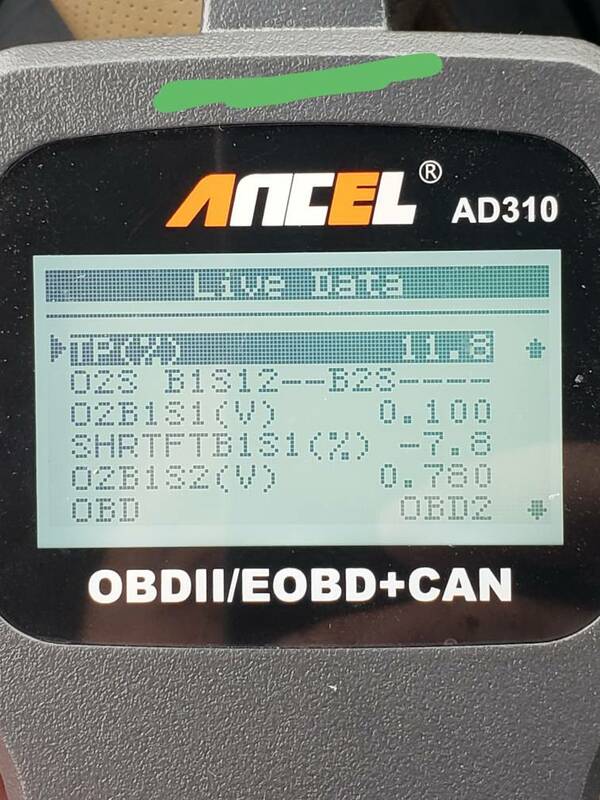 Your o2 sensors are showing very lean condition. They also agree with one another so that makes a faulty o2 sensor less likely. Have you tried clamping off the brake booster line and observing fuel trims? 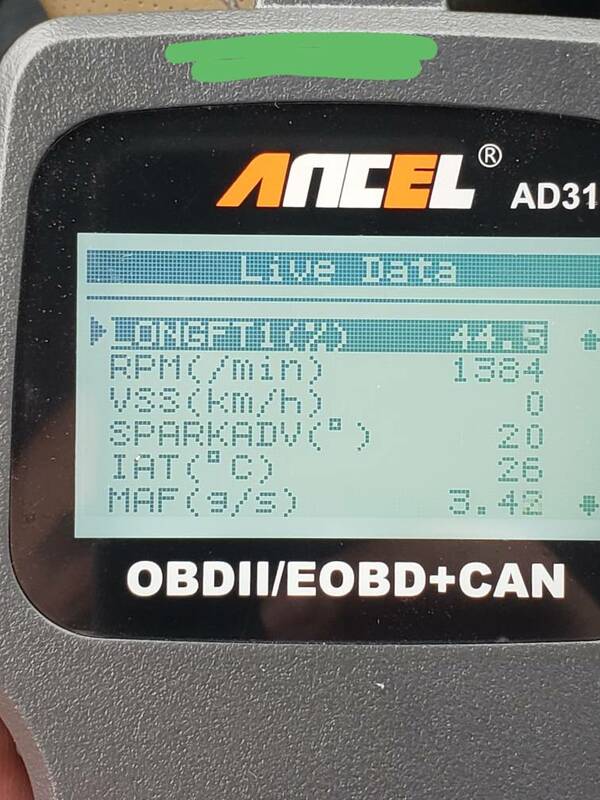 What are your live data readings for 2500 rpm while parked? Last edited by doctorbee; 02-11-2019 at 05:24 PM. I haven't tried clamping the brake booster, and also done a live data @2500 yet. I will and report back. Thanks, it would be best to provide all values for diagnosis on live data including MAF, TPS, and ECT. Stuck/clogged PCV valve perhaps? I'd suggest changing that out for a new OEM one. Also a good idea to clean the throttle body, actually removing it and cleaning all the buildup in the smaller passages, taking off the IAC valve assembly and cleaning in there, plus of course using new gaskets to ensure a good seal. I'm not sure how often the pcv valve should be changed out but I changed it like almost 90k miles ago. "Too many pictures so, I just colored the top so it'll be easier to understand the pictures"
1. 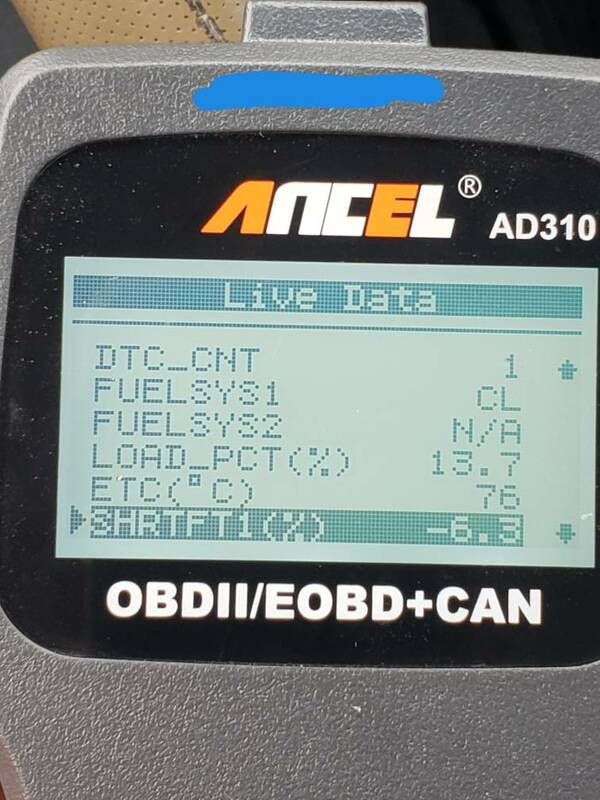 Engine Coolant Temperature is a little low at 72-75*C. Operating temp for these vehicles is 80-95*C. Have you replaced the thermostat or anything like that? 2. 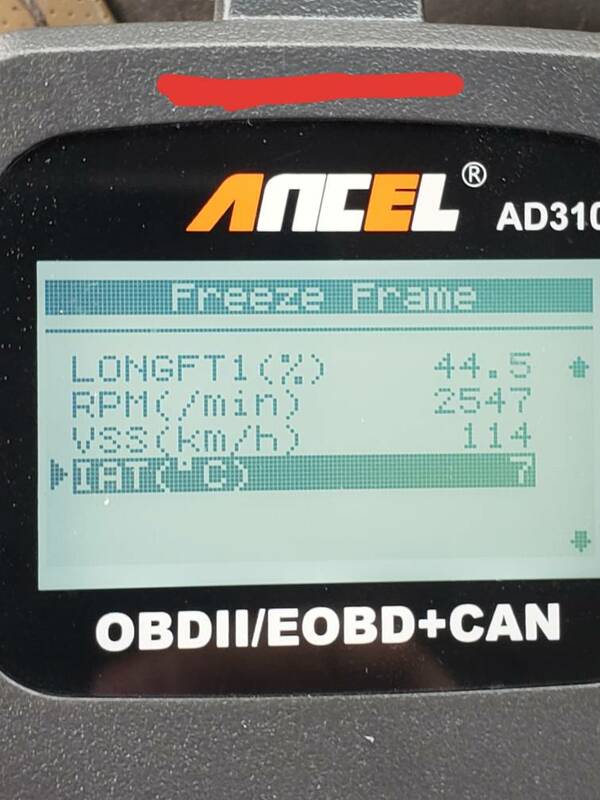 Your idle speed should be around 750 RPM. What is it normally idling at? 3. Your MAF reading at 2500RPM is off - way too low. Did you get this Denso sensor off of eBay? Also check to make sure your air filter isn't clogged. 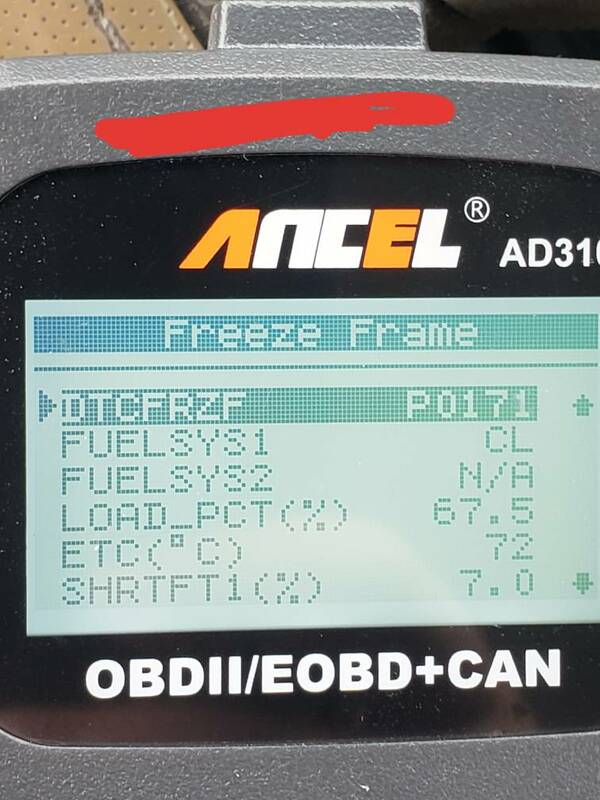 Yeah that's the exact denso sensor that I bought, idle is usually at 600-700 range, I did replace the air filter to make sure there no clogging issues, and I didn't replace anything around the coolant area. Do you have the old MAF you can put on there and compare? If it's been 90K miles since the PCV valve was changed, and you're having these kind of issues, I'd say spend the few dollars and get a new one and install it. When you remove the old one, shake it to hear if the valve assembly rattles or not, if not then it might be completely or almost completely clogged. You can sometimes clean them out with intake/carb cleaner, but better to just get a new OEM one. Of course, you should also check the PCV valve hose and the other vacuum hoses going to the throttle body for cracks or splitting on the ends or other damage that might cause a leak. Yeah I was thinking of replacing the pcv too, when I changed the hose to the pcv that thing was hella clogged with oil debris. Not necessarily - Your MAF is the most likely culprit at this point. 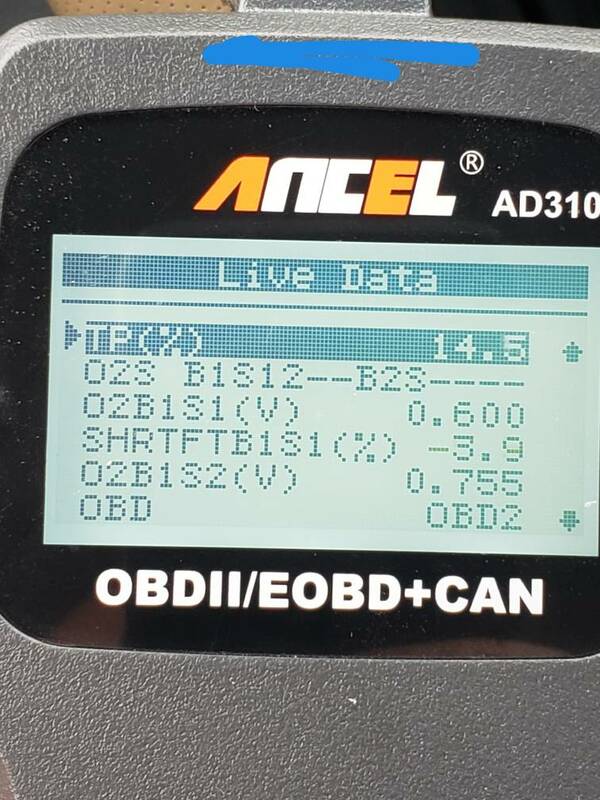 It is telling the computer that the engine is getting less air than it is - there is more air in the combustion chamber than what is reported by the MAF which is probably setting off the p0171 condition. You should try cleaning it first and getting new MAF readings at idle and 2500RPM. Last edited by doctorbee; 02-13-2019 at 05:07 PM.